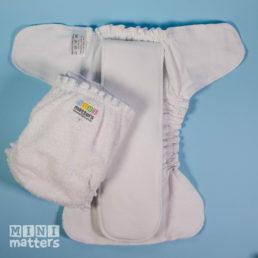 This nappy is designed specially for night time use. It offers adjustability to suit your baby’s unique size and output. Made from 100% soft cotton layers, this nappy will help ensure you and your baby have a good night’s sleep. 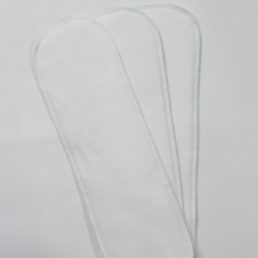 As this nappy is made from fully absorbent material, it needs to be used with a waterproof cover.